Rockstar Games is teasing an announcement with a red version of its iconic logo. The studio's Twitter, Facebook, and official website all now prominently feature the logo which you can see below, instead of its traditional black and yellow color scheme. The Rockstar Newswire, where the studio delivers the latest announcements, also features the image. 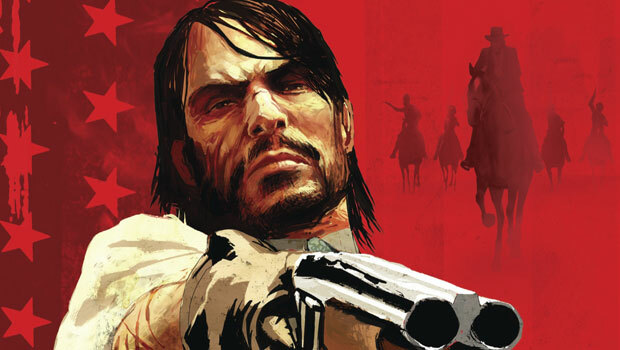 The color red was key component of Red Dead Redemption's visual aesthetic, most noticeably used in promotional artwork for the game. This has led many to speculate that the announcement will be related to its critically acclaimed Western series. It is unclear, however, whether this will be a remastered version of Red Dead Redemption or a completely new game, if anything. In April 2016, an image of what was purported to be the map for Red Dead Redemption 2's game world appeared online. At the time, "a source close to the development of the new Red Dead game" was reported as confirming it as "a very recent art direction map." Take-Two has never officially teased or confirmed a new Red Dead title is in development. However, the company's chief executive, Strauss Zelnick, suggested one is inevitable by describing Red Dead as a "permanent" property, much like Grand Theft Auto. In May, Take-Two, Rockstar's parent company, said it will announce new games "soon," but added that none of these will be out until April 2017 at the very earliest. Red Dead Redemption was released for PlayStation 3 and Xbox 360 in May 2010. It is not playable on PlayStation 4 but was added to list of titles supported by Xbox One backwards compatibility in July. On October 11, Red Dead Revolver--the first game in the series--was re-released on PlayStation 4, making the timing of this new tease interesting. In GameSpot's Red Dead Revolver review the game earned a 7.3: "Its heart is in the right place, but Red Dead Revolver tries to go in too many directions at once," said Ryan Davis. "There are too many different playable characters and too many unique gameplay elements that just don't gel. And though the story is well told, there's just not enough focus on Red. "If you can forgive Red Dead Revolver for its hubris, you'll find a game with some great style and enough fun moments to justify the rough edges. It may not have what it takes to bring about a full-fledged Western revival in the world of video games, but it's an honest try."